Wines from hard vintages, when viewed in isolation, are often much better than expected. We can forgive an extra bit of leafiness and the odd palate hole. A little subtlety can also be quite welcome or warm region wines. But when you particularly challenging vintages alongside the very best, then differences become very stark. 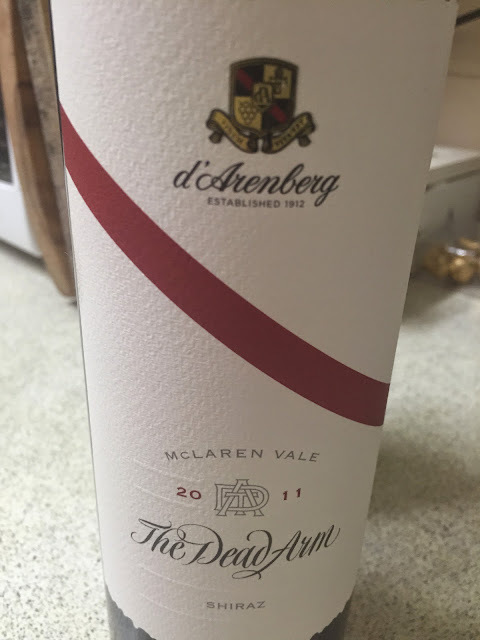 I happened to have this shortly after the ’10, a context that really showed the challenges of the vintage (and d’Arenberg did alright in 2011). Dark red maroon with lighter edges. Black earth, red berries and game; the nose rather more secondary than juicy, the bitter and thickly tannic palate showing its high acid and forward nature. A wine that looks much older than 4 years old and a pretty awkward drink. Vintage marking this one with a big x.
Judging from your comments then ……. Where is the 2010 Dead Arm review? Not suprised you were drunk!! Ha no I mean the wine was drunk rather than critically tasted!